I’m a big fan of doing common web tasks without signing up. Apart from the convenience, it’s also a big step in protecting your privacy online, especially when you realize how much information websites store about you. Image Blur is tremendously convenient to use, but if you’re looking for a little more control, try LunaPic. You’ll need to register to use it, but the web app lets you both pixelate and blur images online. Once you upload the image, you can add as many text boxes as you want. Each box can have a different font style, color, size, and position. Go wild, it’s all up to you. There are some quirky and fun font styles available here, so go through the selections, you might find something cool to make your text look interesting. AddText also has mobile apps for Android and iOS, which are just as easy as the web app. Since the web version doesn’t work well on mobile screens, the apps are a better solution. But it defeats the purpose of a quick, no-signup app, so you might as well get one of the best smartphone photo-editing apps. 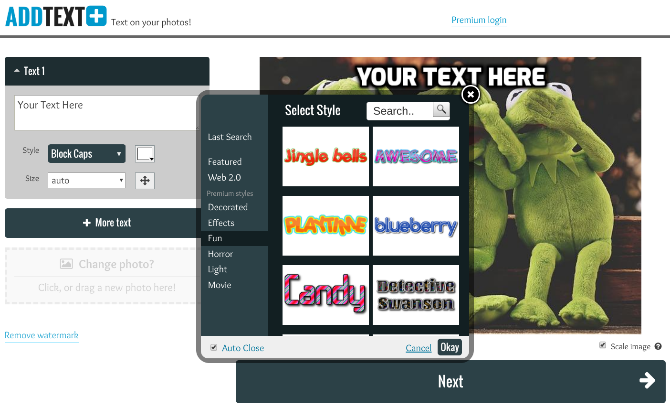 The blog Internet Marketing Ninjas developed a cool web app for anyone who wants to change their social media picture. 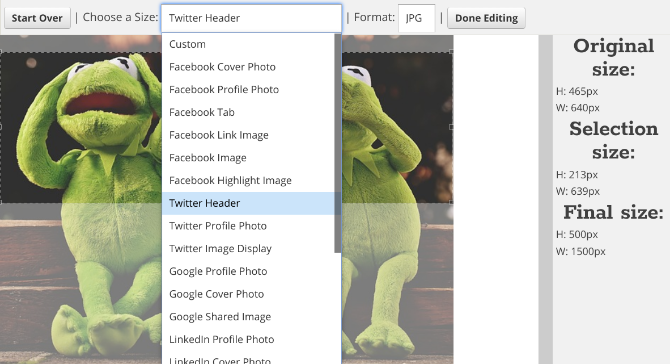 As you probably know, you usually need a cheat sheet for social media sizes, since Facebook, Twitter, and others keep changing the dimensions of profile pictures, headers, and so on. BIRME smartly gives users the option to download all photos as a ZIP file, or individually if that’s what you want. As long as you have a fast internet connection to upload and then download those pictures, BIRME is better than resizing images in bulk on a computer. Such simple, no-signup editors aren’t the sole domain of photo editors. If it’s a video you want to crop or resize, there’s a solution for that too. Try one of these free online video editors that make you anonymous, it takes almost no time to do what you need to.